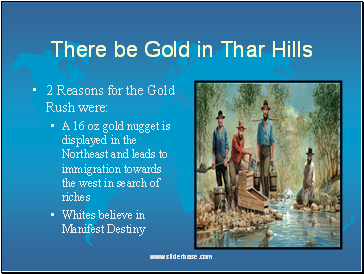 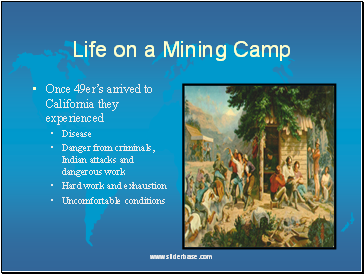 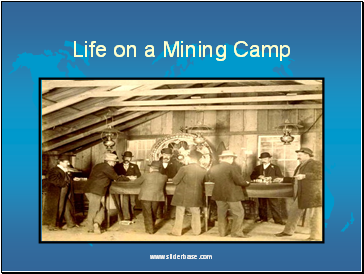 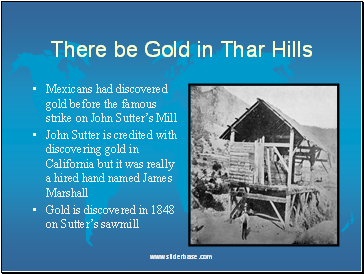 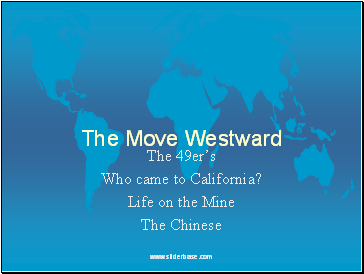 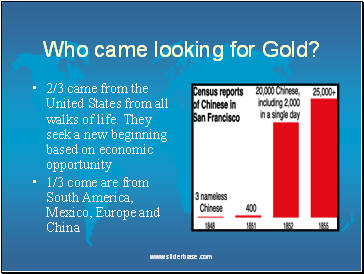 San Francisco in 1845 had a population of 400 but after gold is found it increases to 32,000 by 1850! 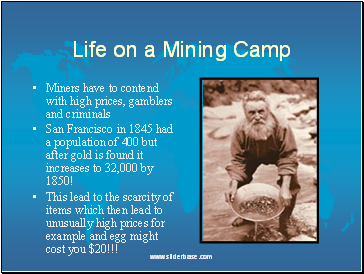 This lead to the scarcity of items which then lead to unusually high prices for example and egg might cost you $20!!! 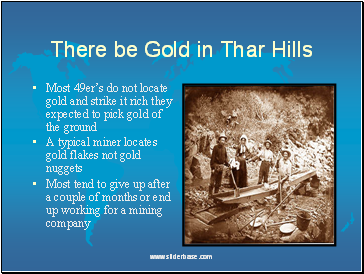 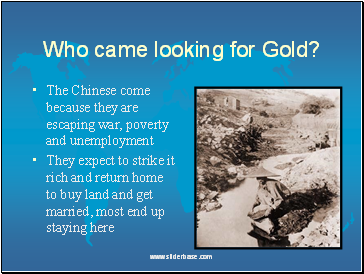 Who came looking for Gold?